Make her bridal shower cake extra special with this floral bride to be cake topper. 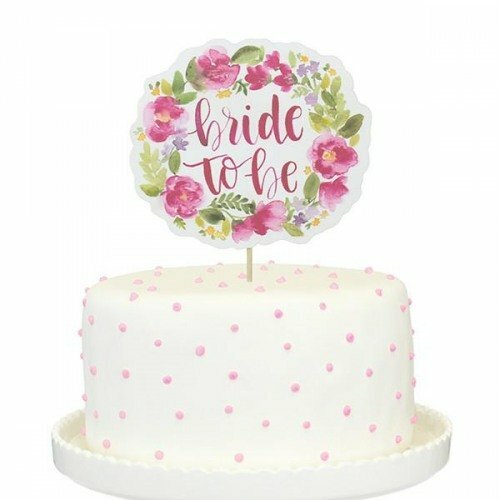 Each cake topper is printed on both the front and back and features a pretty pink, green, and yellow floral wreath as well as the text "bride to be". It's the perfect addition to any floral infused bridal shower.